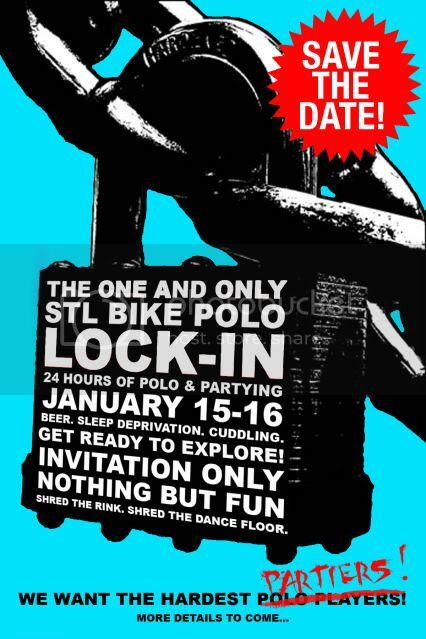 STL BIKE POLO LOCK-IN: So you want to attend the Lock-In? People will be banging down the doors and begging on their hands and knees for a chance to be a part of the Lock-In experience. Unfortunately, not everyone will make the cut. There is a limit to the number of people that can have the time of their lives on that January weekend. 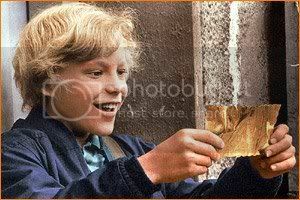 So how do we determine who gets a golden ticket? You, the Lock-In applicant, will determine whether or not you make it through the Skatium's pearly gates. There will be several (simple) steps necessary to completely cement your spot in the Lock-In. First off, it must be stated that if you have been directed to this blog by a member of STL Bike Polo, we think you have great Lock-In potential. Just don't blow it! Second, if you want to secure your spot in our 24-hour bike polo circus, you need to let us know. You can do this buy emailing us at STLBikePoloLockIn at gmail dot com. 3.) Why do you want to attend the Lock-In? 4.) What do you expect from the Lock-In? 5.) Do you plan on sleeping at the Lock-In? 6.) If you attended last year's Lock-In, what would you do/change to make this year's Lock-In better? 7.) What will you do at or bring to the Lock-In to make it a better experience for the people around you? 8.) Complete this sentence: Having fun is ___________. 9.) Describe yourself with one word. 10.) Are you ready to have a blast at the Lock-In? If you can complete that simple task, you are well on your way to being a part of the greatest annual bike polo gathering ever. O'Fallon will donate a couple beers per person. I just need to give them a firm date. Do we have that yet? We're expecting about 500 people, right? A thousand beers should be almost enough.